This July 4th, musical fireworks will be provided by the inimitable DJ Three! 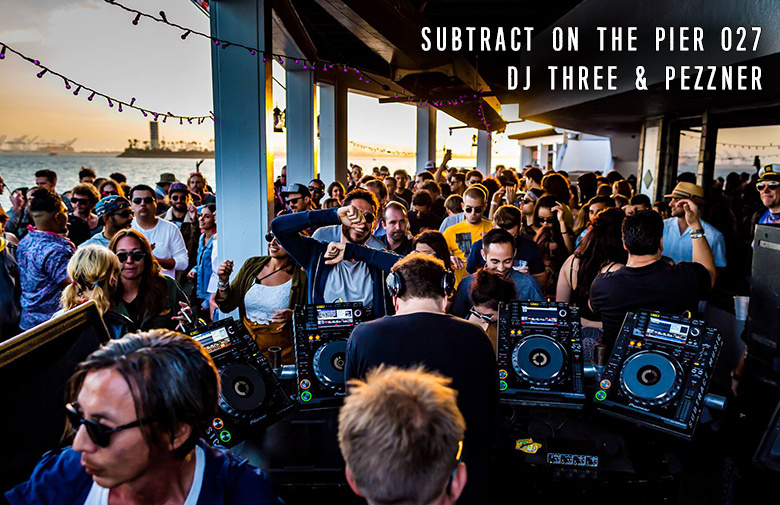 After a 6 hour marathon set on the pier last year, we’re excited for the return of a true DJ’s DJ. Joining him is Pezzner, who’s massive single “Evelyn” on our label was one of the most supported releases last year. When you count Josh Wink, John Digweed, Damian Lazarus and Claude VonStroke amongst your fans, having all released Pezzner’s music on their respective labels, you know you’re doing something very right. Our own Anton Tumas, and Pink Mammoth music director Zach Walker on the supporting duties. Fireworks will be visible from the venue at 9pm.